In an effort to become one of the leading wellness centers in the Tahoe region, Granlibakken has been working to improve its current wellness offerings, and has been adding some new features to the property. We hope that you will enjoy these added amenities on your next visit. The Soul Shelter is designed to be a space for meditation, relaxation, and rejuvenation in the heart of Granlibakken's property. With warm wood floors, neutral wall colors and recessed lighting, this space has been totally revitalized to complement its natural surroundings. The Soul Shelter boasts 1,056 sq. 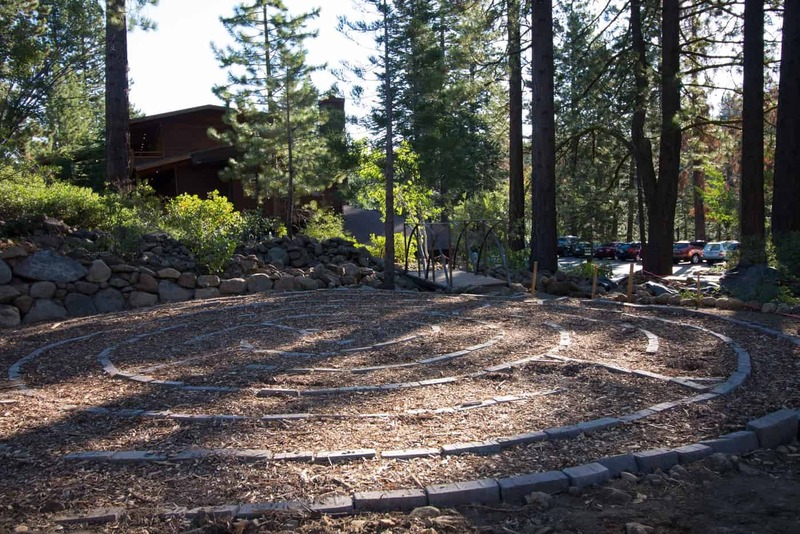 ft. of space that can be divided in two, great for groups that wish to host a yoga or meditation class as a part of their retreat. 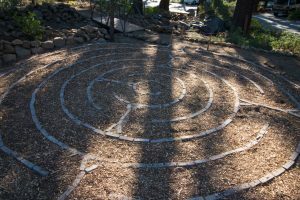 This space is also available to individual visitors who wish to take some time to unplug and reconnect mentally or spiritually during their visit. 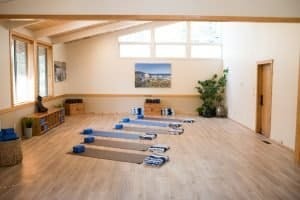 Yoga mats, blocks, and blankets are provided for guests to use. 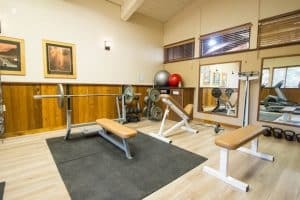 We listened to your feedback about our fitness center, which was in need of some revitalization. 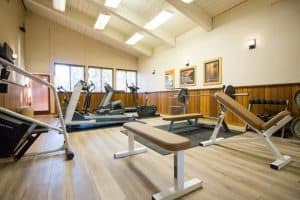 We have renovated the gym, replacing the floors with durable wood floors and purchasing an entire new fleet of exercise equipment. 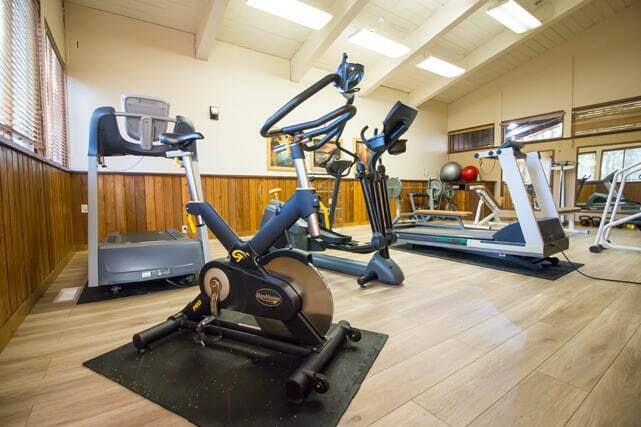 Although we are working with a limited space, the new fitness center boasts a variety of exercise machines for all fitness levels. New cardio equipment includes a new treadmill, spin bike, and elliptical, and new weight-lifting equipment includes new benches, Olympic and curl bars, and medicine balls. Granlibakken wants you to stay on track with your fitness goals, whether you are visiting with your family or with a group. The Meditation and Reflection Garden is designed to be a space to gather and reconnect with nature. 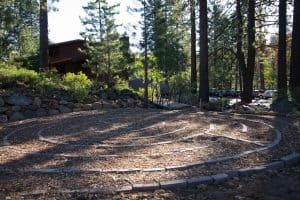 Due to be completed next spring, this area features a meditation labyrinth, seating areas, gardens with native plants, and water features. The garden is located next to the main lodge, and we are looking forward to it becoming a central gathering place on the property as well as a place for guests to go to enjoy the natural beauty of Granlibakken's setting. We hope that you will have the opportunity to enjoy one (or all!) of these new wellness features the next time that you visit Granlibakken. Our setting naturally inspires well-being, and we are excited to complement that setting with some new wellness amenities. 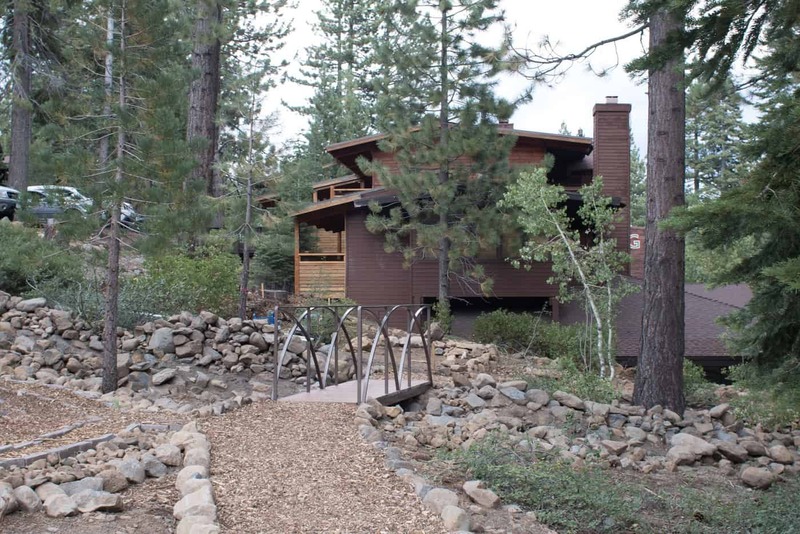 Click here to learn more about meetings at Granlibakken Tahoe. This entry was posted in Conference, News & Updates, Sierra Soul, Uncategorized. Bookmark the permalink.